It’s the most wonderful time of the year — holidays at Disney World! 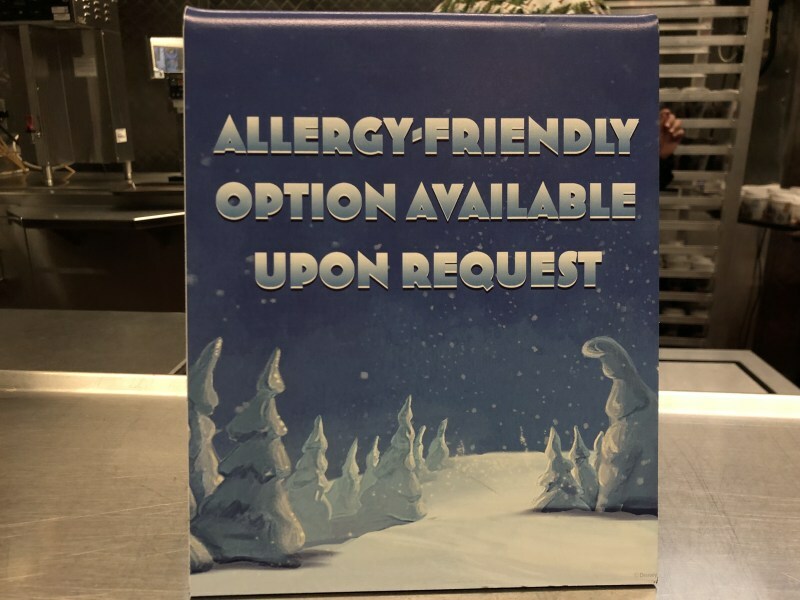 Mickey’s Very Merry Christmas Party is a ticketed event that takes place during the holiday season at the Magic Kingdom and runs from November 8 – December 21, 2018. The party includes a variety of activities and events (my favorite is the Once Upon a Christmastime Parade) and guests who attend this party a variety of cookies and other treats that are included with the price of your party ticket. But, if you have a special dietary need, will there be options? We recently went to the Christmas Party and were able to check out some of the options available. Included with your party ticket are a variety of complimentary treats. These are available at designated treat stations marked by a giant candy cane balloon (and indicated on your party park map). These locations are open until midnight and typically serve cookies, hot cocoa, and apple cider. This year, they also added some other treats, which were unfortunately not gluten free (or dairy free friendly).